Come for the Juice, Stay for the Health! At JUICEBOSS HQ, our dedicated healthcare and wellness providers, trainers, and master juicers are all here to serve our mission: To provide you better health and wellness, and make you feel like a BOSS! 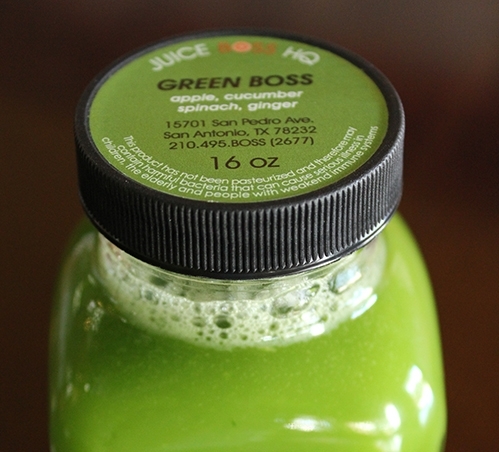 JUICEBOSS HQ is the result of decades of providing health and wellness to thousands of people. Our Director of Health and Wellness, Dr. Michael Boss, has been taking care of health minded individuals for over 26 years through nutrition, exercise and fitness, chiropractic, acupuncture, functional wellness, eating plans and raw juicing. After years of education, practice, study and research, working with top experts in the field he discovered the link between our dynamic physiological system, nutrient dense eating, functional health, metabolic exercise training, and the life bringing energy derived from fresh raw juice. Our Director of Training and Fitness, Brent Holmes, has been on a lifetime journey of athletic fitness and optimizing performance and health that saw him play 4 years of college football and 14 years of professional football. He has since continued his mastery of fitness education through training those who want the most out of themselves. Our Master Juicers have worked diligently over several years to study nutrition, wellness, the benefits of raw foods and taste combinations that create the life bringing, delicious and healthy juices we provide. These combined years of experience have led to the creation of raw nutrient rich juices and smoothies that would offer both premium health benefits and the taste satisfaction that even the pickiest eater will love. They have developed and scientifically driven, technologically advanced and individually proven workout and training system and facility that works for the professional athlete, weekend warrior, coach potato, or those who just want to feel and look like a BOSS. We also offer Wellness Doctor guided, individualized wellness programs that can optimize your life and health and reverse the ravages of years of illness and neglect. Finally, we deliver science based chiropractic body work that is highly effective and affordable, along with acupuncture and massage. Yes it is a lot under one roof. we want to help you feel, look, drink, train, eat and live like a BOSS!